Think "Mac 'n Cheese" but on steroids. First I want to say if you’re not up to making gnocchi that’s OK. More than acceptable ones can be purchased in vacuum packs at our local bulk food store, the Bulk Barn, in Nova Scotia. The brand is Martelli and you most likely will find them somewhere around the spice and dried pasta section. 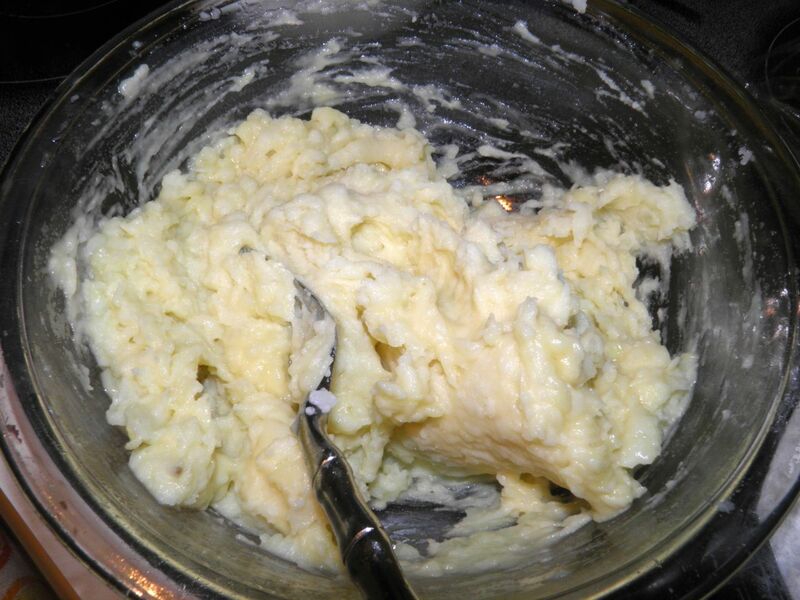 This is the potato mixed with the egg. If you’re even the least bit curious on how to make these simple gnocchi, read on. I say simple because I will probably break the hearts of Italian nonnas the world over with my technique. I also opted to not make the typical grooves for catching sauce. These are “pillow” gnocchi. But I’m not the first – nor will I be the last – to skip it. 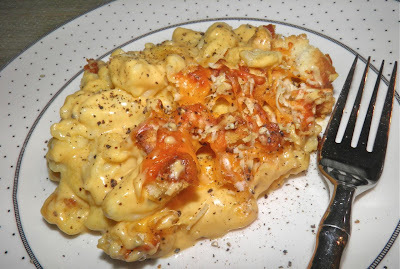 This recipe is very much like homemade macaroni and cheese, and every bit as good, if not better. For those who don’t know, gnocchi are small potato-based dumplings that are used as a substitute for pasta. When done well they are light and delicious. When not done well, well…. If you’re afraid of making gnocchi put your mind at ease. These are really easy. I probably broke every law in the book by making these. I sort of manhandled the dough. 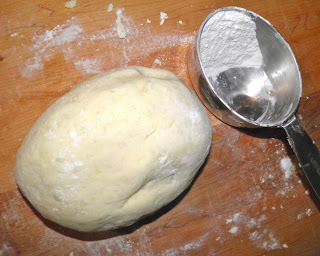 The gnocchi dough. Soft and silky, and EASY. Many recipes call for nearly genuflecting in front of the potatoes before you started to combine the egg and flour. I, on the other hand, essentially gave them a different gesture before I began. They really shouldn’t have turned out well, but they did. 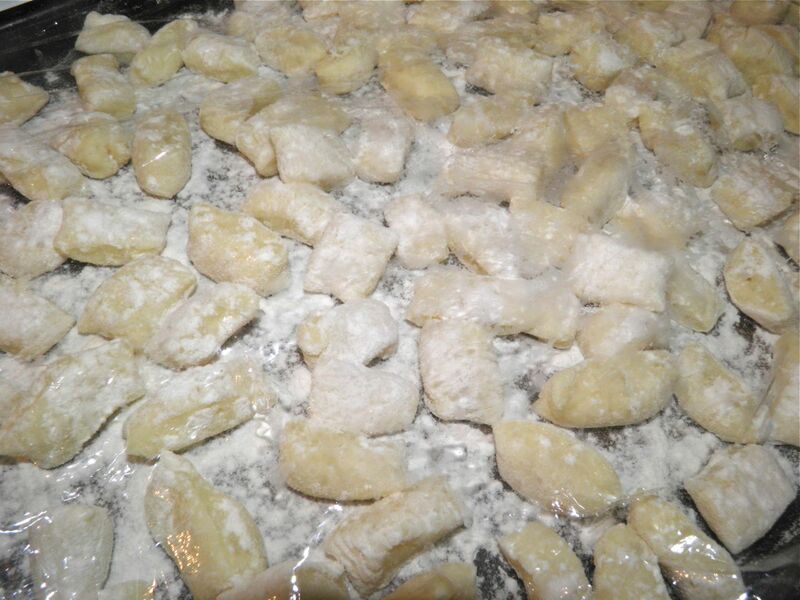 Essentially, gnocchi are starchy potatoes that are then mixed with egg and flour into a very soft dough. Pieces are then rolled in logs, cut and shaped by pressing onto a fork. I left out the shaping part. They are then cooked for only seconds. 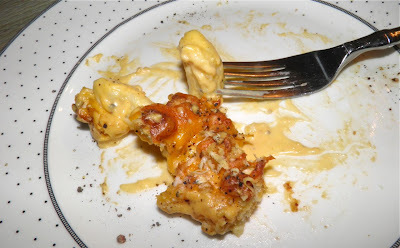 I don’t know if baking the gnocchi in cheese sauce rescued them somehow or not. I kind of think they must have been OK to start. You can’t make a silk purse out of a sow’s ear. If that is the case, then making homemade gnocchi is far easier and less panic-inducing than many sources lead one to believe. Give this a try. The worst you can do is waste a couple potatoes, an egg and a little flour. 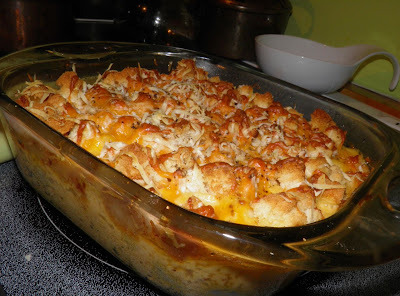 If it works, you have an amazing, filling, delicious main course to serve your hungry family. Wash and cut the potatoes in half. Boil the potatoes with salted water for 25 minutes until they are easily pierced with a fork. Drain and fill the pot with cold water so you can handle the potatoes. Remove the skins and place the flesh in a bowl. Mash the potatoes until all the lumps are broken up. I did it with a fork. Use a masher or ricer. Let cool. Beat the egg and mix into the potatoes. Don’t be afraid about doing it too roughly. The egg has to be incorporated. A few potatoes make a lot of gnocchi. 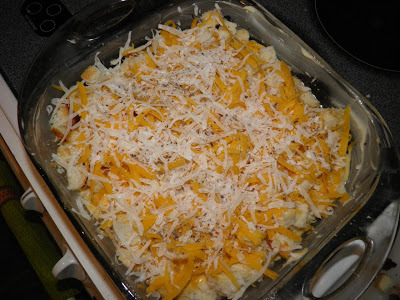 Sprinkle 3/4 of the flour on top of the potatoes and mix in with a fork. Don’t worry if it’s not all together. Place the dough on a well floured board or counter top. Knead the dough together gently. Add more flour, up to the full cup, and knead until the dough is soft and smooth. The dough will still feel slightly sticky. It should not be stiff. 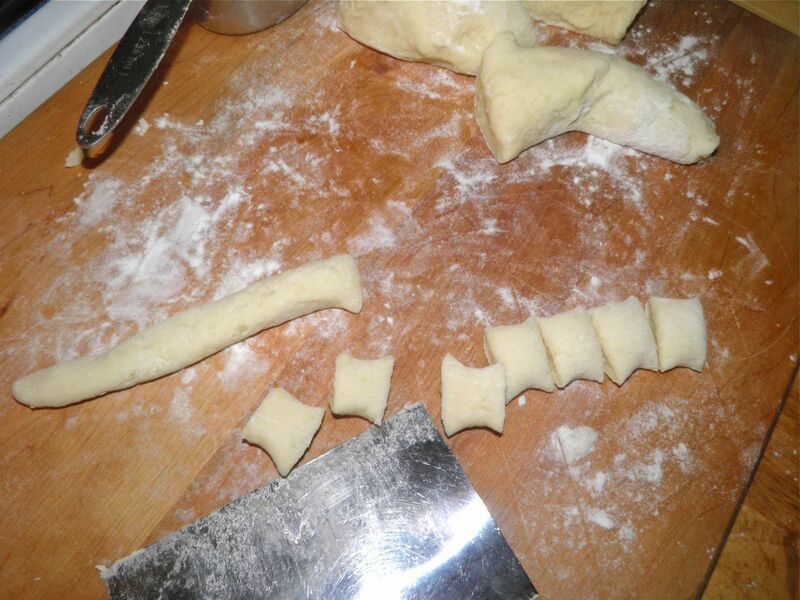 Cut the dough into eight pieces and roll each out into a 14"-16” long log. Use only as much flour as necessary so each log doesn’t stick to the board. Cut the logs into small pillows about 1/2” long. As you cut place the gnocchi on a very well floured surface. Continue until all the dough is used. Grease a 2 quart oven proof casserole dish with butter. Bring salted water to a boil in a soup pot and cook the gnocchi in batches. They will float to the surface when cooked. Let them cook on the surface for about 10 seconds and then remove with a slotted spoon to the prepared pan. Melt the butter in a saucepan. When it is melted add the flour and whisk while it cooks for about 1 minute. Slowly add the cream and let it cook until thickened. Add the pepper, cayenne and paprika. Mix well and then add the grated cheese and salt. 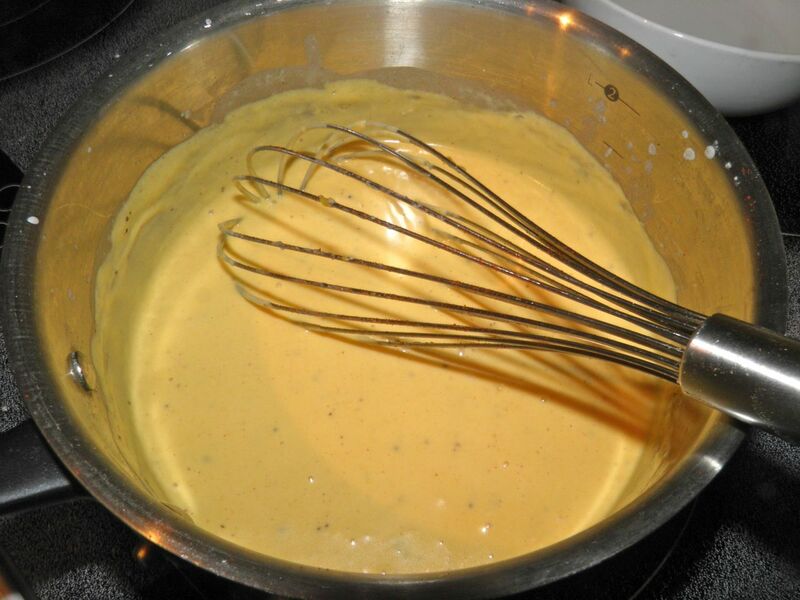 Whisk until the cheese is melted. 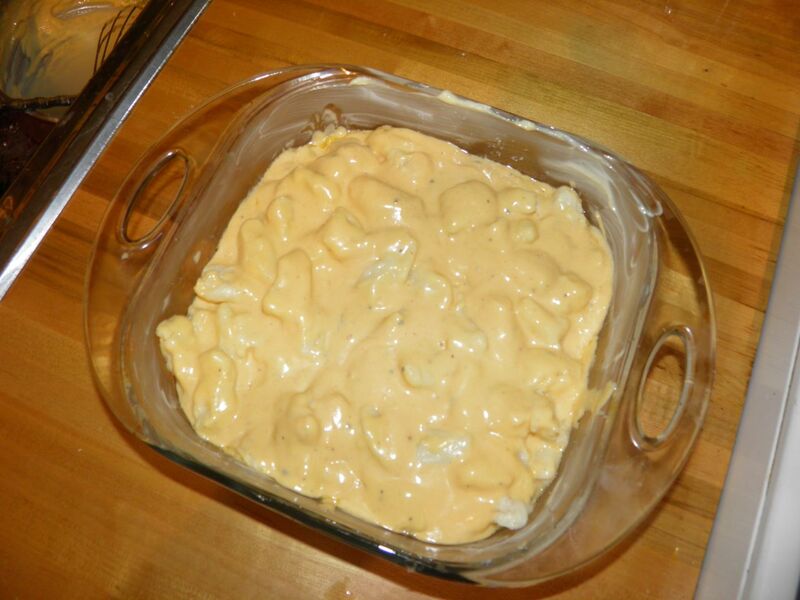 Pour the cheese sauce over the gnocchi and toss to combine. Scatter the cubed toast on top of the pan and then sprinkle with the remaining cheddar and the parmesan. Sprinkle with a little more salt and pepper. Oddly, this cools off fairly quickly so serve immediately. These did not take us long to eat. They were great.